67's Spiderman Bizarre Background Music Podcast! "The second and third season music tracks come from the KPM music library in England, they still exist, and they sound great. 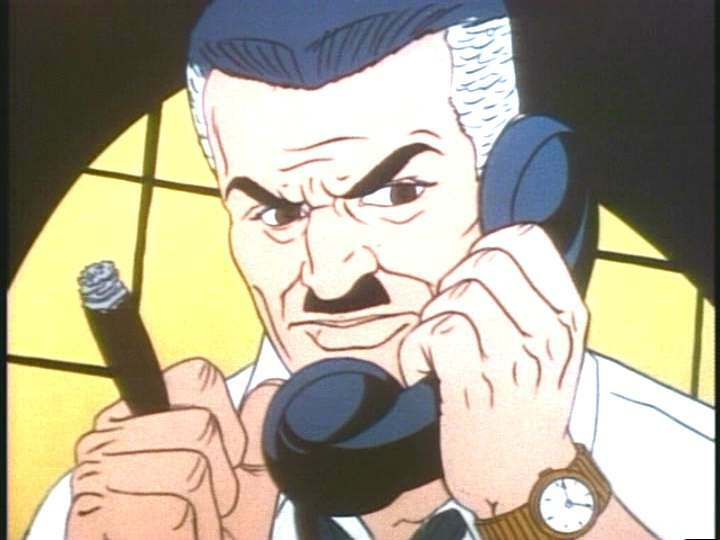 The podcast also features some reminiscence from the man who provided Spiderman's voice in the series (as well as "Hermie" in Rudolph the Red-nosed Reindeer), Paul Soles. Perhaps the most revelatory piece of information that the discovery of these KPM masters unearthed is the name of the tracks themselves. Since the music was recorded for generic purposes to be used by anybody for any project or production, the sounds do not possess Spiderman related titles. However, if you've ever had the frightening experience of watching the notorious episode Revolt in the Fifth Dimension, you likely felt that it was a psychedelic cartoon made by animators high on acid. Turns out that the title of the crazy music in that episode was, indeed, titled LSD!" 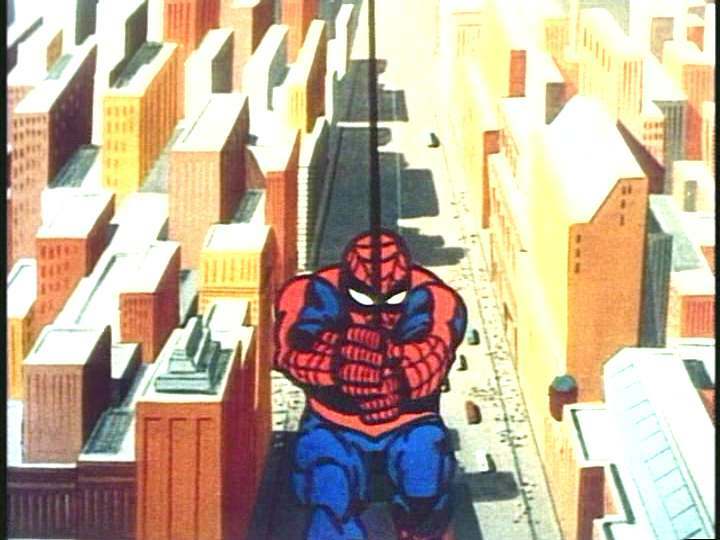 Although it is not cartoony is the slightest(and often verges on the abominable human style of Filmation) the Spiderman Series was often quite fun and(once Ralph Bakshi took over) very bizzare--but artistic; it's easy to seen prototypes of the work seen in Frtiz the cat and Wizards--. Once such way to note as such is the unusual background music played in the film itself. * I guess it does show that tone and intention can change even the drabbest material. As Ebert was fond of saying" Movies are not what they are about , but how they they are about ". Bakshi proved it only too well. *Another thing to consider: how often the great music in Bakshi's films compliment his techniques. What would the fantastical mystique of Wizards be without Andrew Belling's great synthesizer score, or the instant retro felling of Hey Good Lookin" sans John Madara and Ric Sandler's great and authentic sounding 50's tunes? Even proponents of the aforementioned movies (such as Weirdo, who is otherwise very complete in his love for Hey Good Lookin') overlook what the full wonder of the medium of film/animation produces. By the way, check out my previous post on Bakshi (including Revolt in the Fifth Dimension) here. Also, I'm posting a lot of these at night and and setting for at a later time,as my work has been very consuming lately. Sorry if some incompressible ideas or misapplied words happen. The music is very good and has very good rhythm. It reminds me a bit of The Ventures or maybe Raymond Scott. I would like to see this stuff on CD. Music has been a good part of Bakshi's work. Some of the music in "Coonskin" is beautiful, particularly with the Godfather's wife. The music adds to the tragedy of her plight. "Hey Good Lookin" does have good music, but I would have loved to have heard authentic fifties music. I'm not a real fan of eighties music. BTW, thanks for the reference to me.